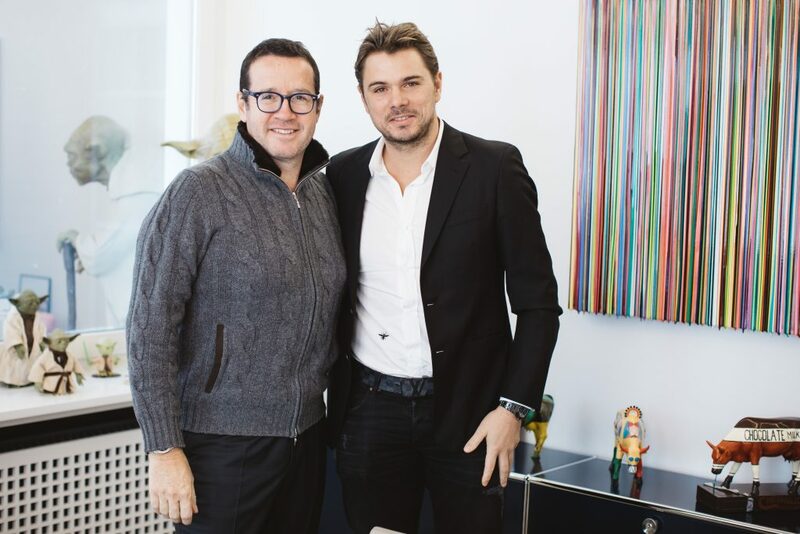 Tennis star Stan Wawrinka visits Audemars Piguet in Le Brassus, Switzerland. Recently tennis star — world number 9 — Stan Wawrinka visited the Audemars Piguet workshops in Le Brassus, cradle of Swiss watchmaking, He has been a long-time brand ambassador for Audemars Piguet, so the visit to the workshops seemed fitting — especially since he is still off the courts recovering from a knee injury. Wawrinka is among the very few players who wear their watches while on the court. 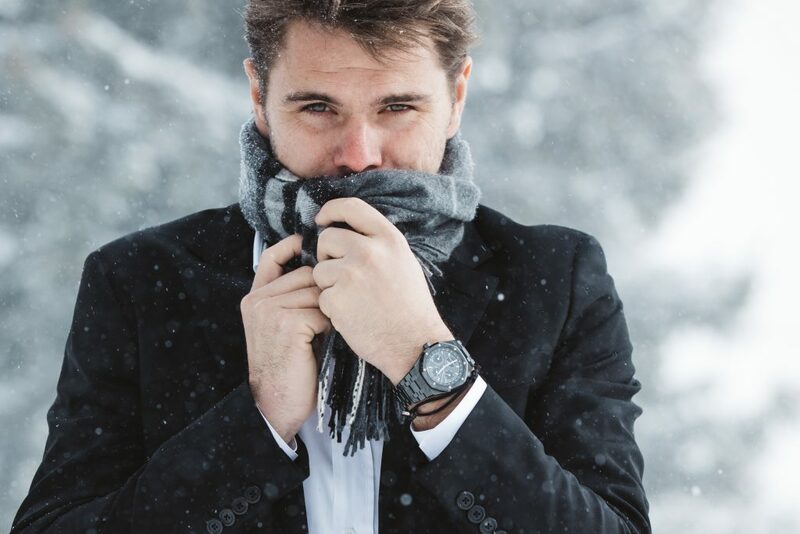 Stan Wawrinka bundling up while wearing his Audemars Piguet watch. He spent some time at the brand’s museum — an amazing museum, I must add — and then visiting the restoration workshops, the high-horology workshops and more. He then weathered the cold and snow for a brief photo shoot. Stan Wawrinka visiting Audemars Piguet … do you think he’s wondering if he should just go back inside now? So, what’s on his wrist as he is on the courts at the Open this week? A specially made Royal Oak Offshore model, presented to him just before the Open. It is a unique piece built specifically for his needs — with a titanium case and a Kevlar on rubber strap. Audemars Piguet CEO Francois-Henry Bennahmias at Audemars Piguet in Switzerland.